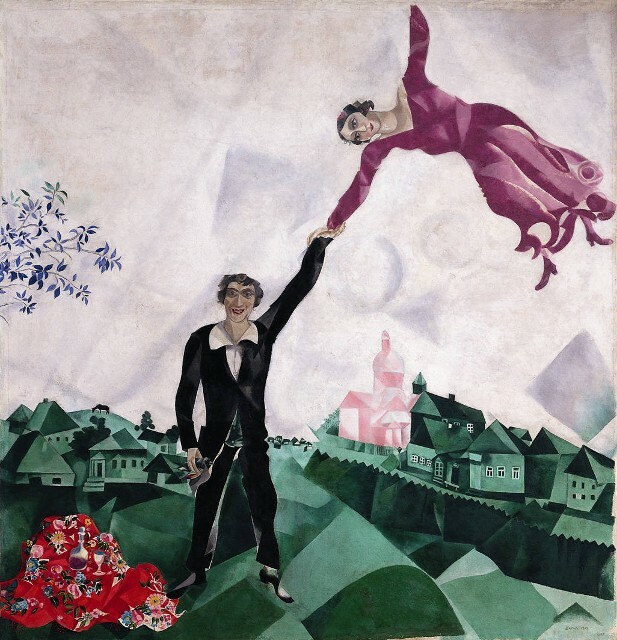 Born in Belarus in 1887, Marc Chagall was a FreMnch painter, printmaker, and designer associated with several major artistic styles, synthesizing elements of Cubism, Symbolism and Fauvism. One work in particular, I and the Village (1911), pre-dated Surrealism as an artistic expression of psychic reality. An early modernist, Chagall created works in nearly every artistic medium, including sets for plays and ballets, biblical etchings, and stained-glass windows. Chagall died in France in 1985. Today, he is widely regarded as one of the most successful artists of the 20th century.